Christmas breakfast is something kids look forward to and let’s be honest they probably need it after expending so much energy on opening presents. Unfortunately cooking breakfast on Christmas morning means one more thing you have to do on an already hectic day. Eggnog French Toast is something simple, delicious, and festive to make your family on a busy and eventful day. 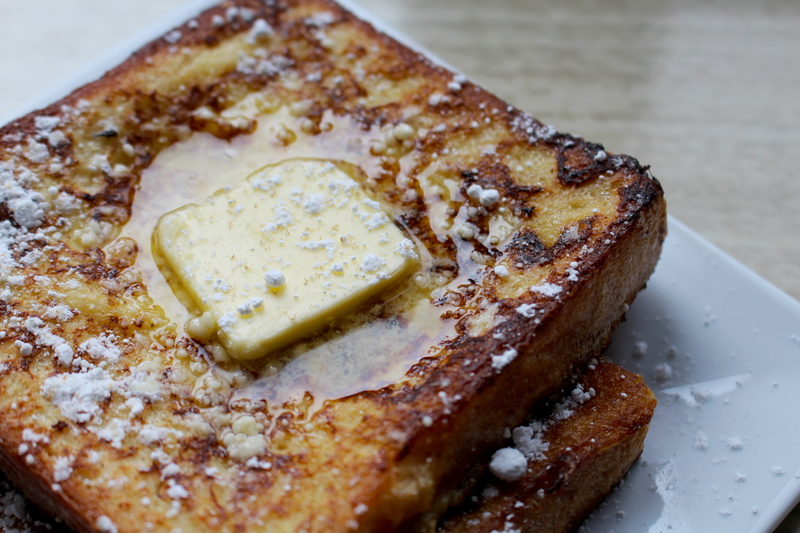 Even if you don’t celebrate Christmas, Eggnog French Toast can be a fun winter-time treat. 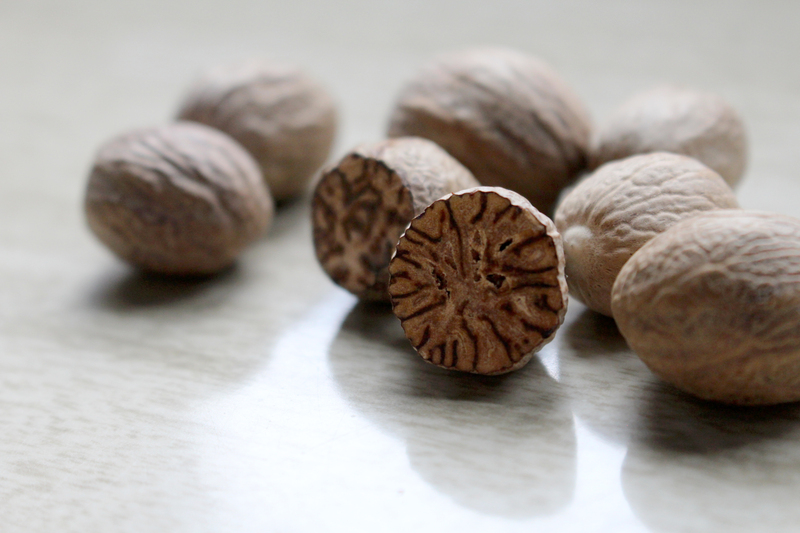 It’s easy, sweet, and loaded with nutmeg. 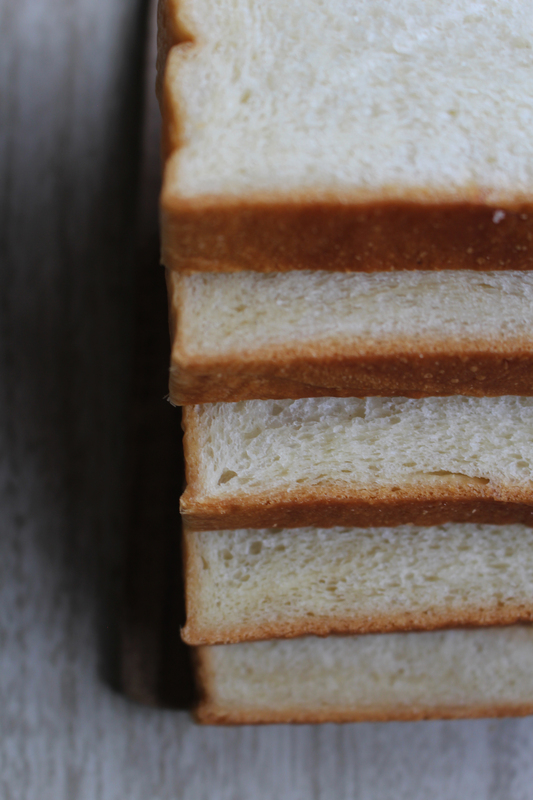 What is pan bread and how can I find it? This may shock you, but it’s just bread cooked in a pan or tin. I like getting my pan bread from my local Asian grocery store since it’s thick and almost perfectly square. 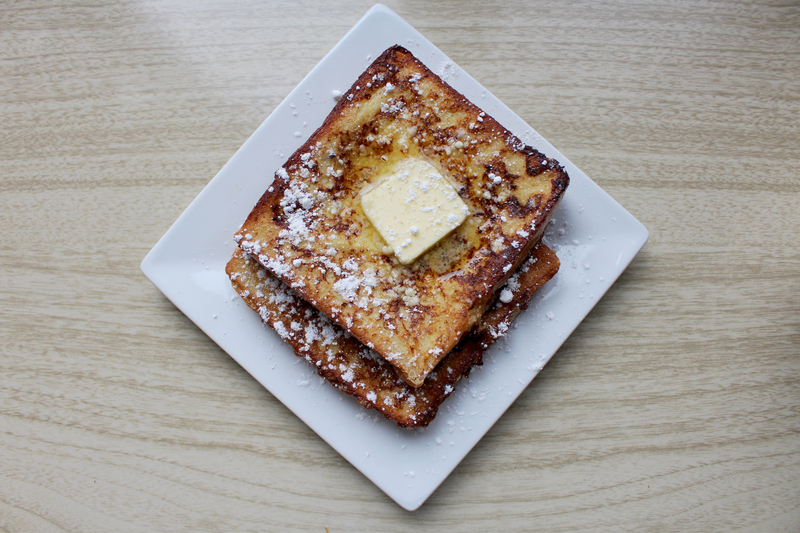 Next to Challah bread, pan bread makes the best French toast. 1. Heat about a Tablespoon of oil in a 10-12” cast iron pan over medium heat. 2. 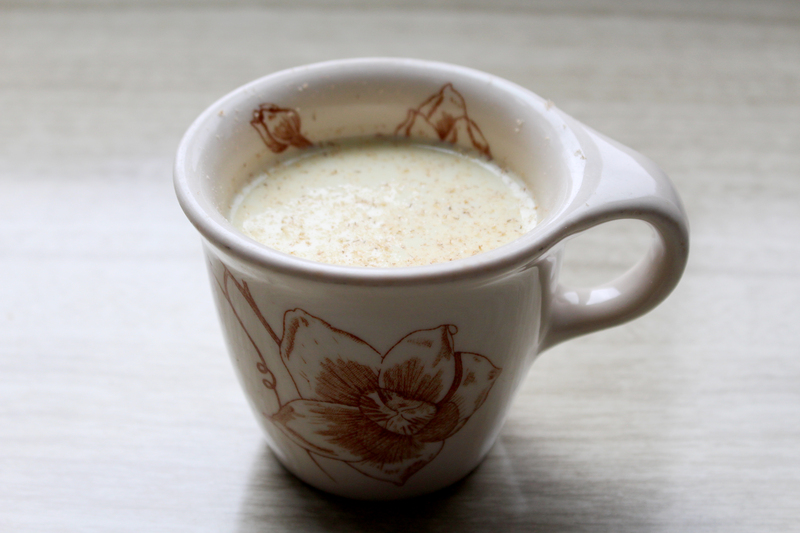 Mix the egg nog, eggs, cinnamon, vanilla, and nutmeg with a fork in a shallow pan like a pie tin or something similar. 3. Soak each side of the slice of pan bread in the egg nog mixture for about 3 seconds. 4. Place one, maybe two depending on big your cast iron is, of the soaked slices in the hot cast iron and fry each side for about 2 minutes or until golden brown. 5. Keep the cooked sliced in a warm oven until you’re ready to serve. 6. Serve with a little butter, powdered sugar and a little more ground nutmeg and a glass of your favorite egg nog.